Gary Burtless is a senior fellow in Economic Studies at the Brookings Institution in Washington, DC. He does research on issues connected with the income distribution and poverty, public finance, aging, labor markets, social insurance, and the behavioral effects of government tax and transfer policy. Dr. Burtless works with the Future of the Middle Class Initiative. Burtless is coauthor of Later Retirement, Inequality in Old Age, and the Growing Gap in Longevity between Rich and Poor (2016), Five Years After: The Long Term Effects of Welfare-to-Work Programs (1995), Globaphobia: Confronting Fears about Open Trade (1998), Growth with Equity: Economic Policymaking for the Next Century (1993), and Can America Afford to Grow Old? Paying for Social Security (1989). He was also editor or co-editor and contributor to Aging Societies: The Global Dimension (1998), Does Money Matter? The Effect of School Resources on Student Achievement and Adult Success (1996), A Future of Lousy Jobs? The Changing Structure of U.S. Wages (1990), Work, Health and Income Among the Elderly (1987) and Retirement and Economic Behavior (1984). He served five years as co-editor of the Brookings-Wharton Papers on Urban Affairs and earlier as associate editor of the Journal of Human Resources and assistant editor of the Brookings Papers on Economic Activity. Burtless has written numerous scholarly and popular articles on labor markets, income distribution, pensions, and the economic effects of Social Security, unemployment insurance, and taxes. In recent work he has assessed the impact of the 2008-2011 stimulus programs on U.S. social protection and the economy, evaluated the implications of financial market fluctuations for the design of optimal pension systems, and estimated the impact of public and private health insurance on the distribution of U.S. employer costs and household incomes. Burtless also serves on the Social Security Advisory Board's Technical Panel on Labor Supply as well as on a Technical Working Group to assess the adequacy of states' unemployment insurance benefits for the U.S. Department of Labor. Burtless graduated from Yale College in 1972 and received a Ph.D. in economics from the Massachusetts Institute of Technology in 1977. 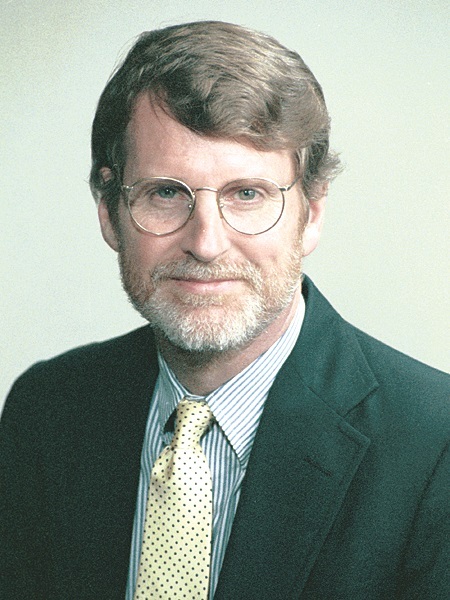 Before coming to Brookings in 1981, he served as an economist in the policy and evaluation offices of the U.S. Secretary of Labor and the U.S. Secretary of Health, Education, and Welfare. In 1993 he was Visiting Professor of Public Affairs at the University of Maryland, College Park. Burtless is coauthor of Later Retirement, Inequality in Old Age, and the Growing Gap in Longevity between Rich and Poor (2016), Five Years After: The Long Term Effects of Welfare-to-Work Programs (1995), Globaphobia: Confronting Fears about Open Trade (1998), Growth with Equity: Economic Policymaking for the Next Century (1993), and Can America Afford to Grow Old? Paying for Social Security (1989). He was also editor or co-editor and contributor to Aging Societies: The Global Dimension (1998), Does Money Matter? The Effect of School Resources on Student Achievement and Adult Success (1996), A Future of Lousy Jobs? The Changing Structure of U.S. Wages (1990), Work, Health and Income Among the Elderly (1987) and Retirement and Economic Behavior (1984). He served five years as co-editor of the Brookings-Wharton Papers on Urban Affairs and earlier as associate editor of the Journal of Human Resources and assistant editor of the Brookings Papers on Economic Activity. Burtless has written numerous scholarly and popular articles on labor markets, income distribution, pensions, and the economic effects of Social Security, unemployment insurance, and taxes. In recent work he has assessed the impact of the 2008-2011 stimulus programs on U.S. social protection and the economy, evaluated the implications of financial market fluctuations for the design of optimal pension systems, and estimated the impact of public and private health insurance on the distribution of U.S. employer costs and household incomes. Burtless also serves on the Social Security Advisory Board’s Technical Panel on Labor Supply as well as on a Technical Working Group to assess the adequacy of states’ unemployment insurance benefits for the U.S. Department of Labor.